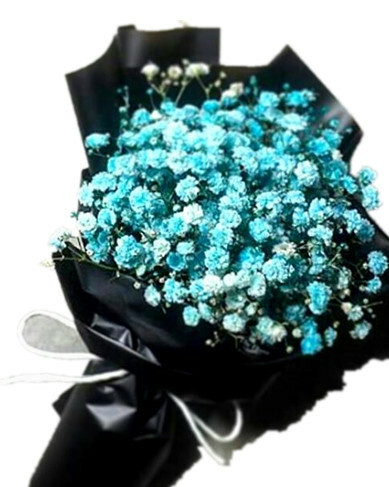 Blue baby breath is symbolizes honesty, trust and respect. 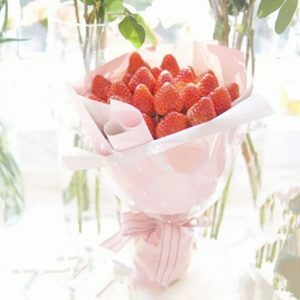 This is a perfect flower to gift to someone. 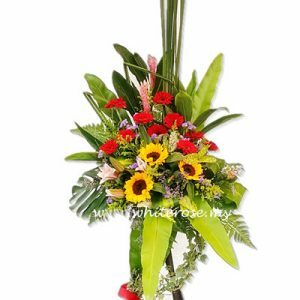 Mixed of Sunflower , Gerbera , Stargazer Lily, Ivy leaf , Montera and Birdnest Leaf. 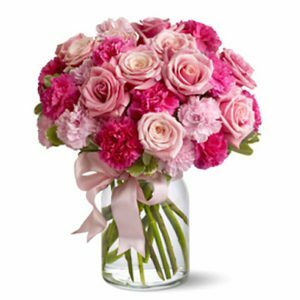 A solemn flower stand or wreath can send a message of sympathy and condolences, and white flowers send a meaningful message of solace. 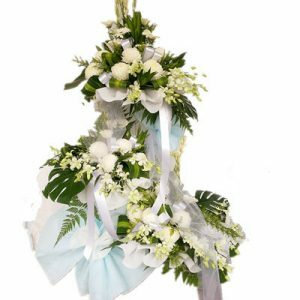 The Tuberose, Gerberas, Chrysanthemum and Orchid Wreath is solemn and soft, perfect for any funeral. 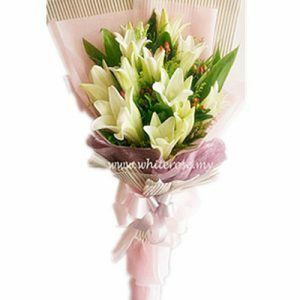 The seasonal white flowers will appear divine and professional, offering your well wishes even if you are unable to make it to the funeral.